Mesh zippered compartment in lid conveniently carries your hoses and power supplies. Engineered to fit in carry-on luggage, this is a must-have bag for athletes who recover on the go. 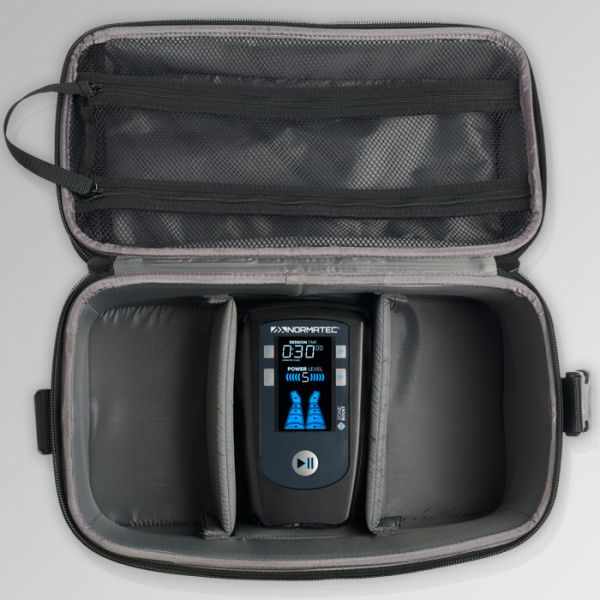 A hard carry case custom designed to fit your PULSE recovery system. Includes compartments to carry multiple units or attachments.